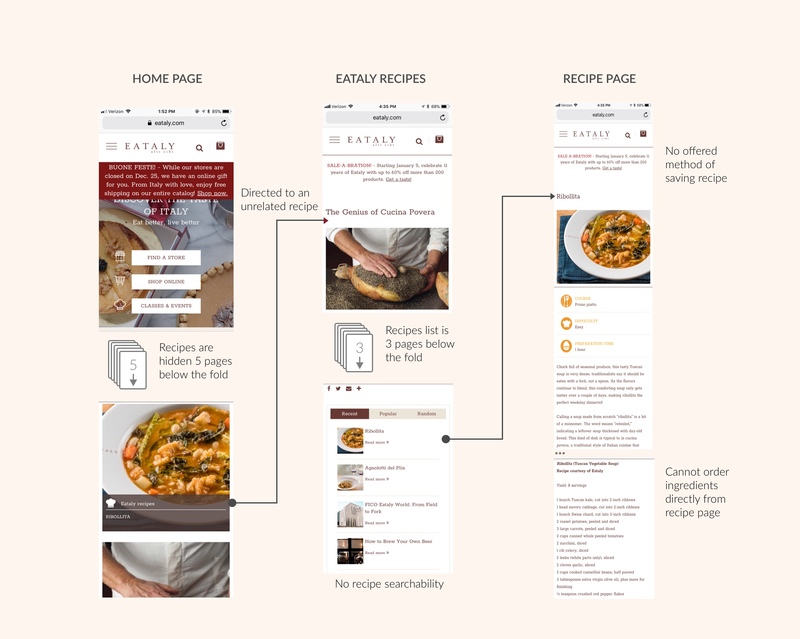 Please note this was a concept project undertaken as part of the UX Design course at General Assembly and is not affiliated with Eataly. 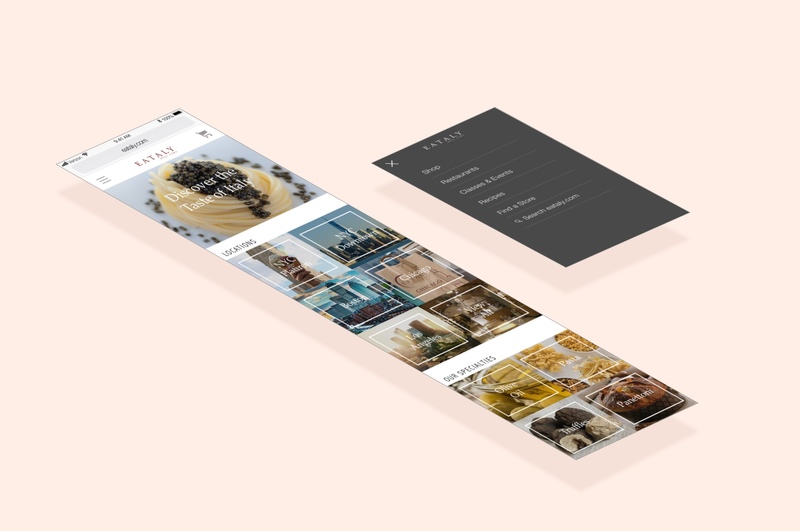 I was tasked with a responsive redesign of Eataly's website. 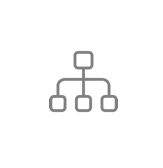 I was part of a team for the research phase but executed design independently. Eataly, a purveyor of Italian cuisine, is a foodie destination in major cities across the globe. Eataly offers a unique shopping and dining experience at each location. The first step we took was to gain a deeper understanding of the Eataly experience and customer values. As a group, we visited Eataly stores to observe and converse with customers about their in-store and online experiences. Next, we interviewed frequent visitors of Eataly. Food is a spiritual and cultural experience for Eataly clientele; a means of connecting with others. Consumers perceive Eataly to be a purveyor of rare, premium products. They tend to love dining out and creating new dishes at home. Italians & non-Italians alike go to Eataly for real Italian fare. For Eataly lovers, the experience does not stop after the meal. People visit Eataly to eat at the restaurants, then often want to recreate the same dishes at home. In-store customers rarely order from Eataly online. 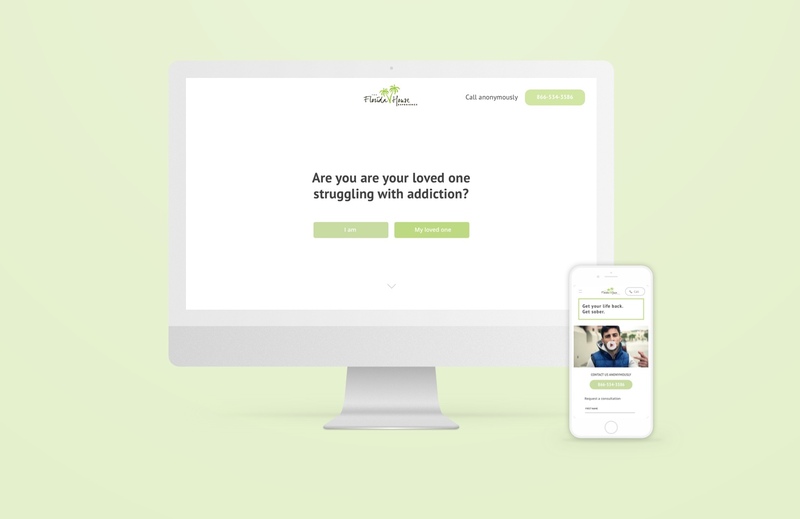 When they previously attempted to use the website, they did not consider it a positive experience, especially when trying to seek out specific products. Busy Layout with overwhelming amount of options. 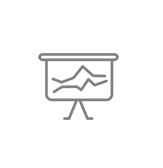 The important information users need is often presented secondary, often masked by large images, unnecessary spacing, and repetitive promotions. Eataly has complex, confusing global and service navigation. It holds 10 options in the global and 10 options in the service navigation. Users have difficulty finding what they are looking for, particularly locating specific products, brands, recipes, restaurants and reservations. 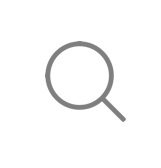 Semi-functional searchability, where the majority of searches were not producing any results. It was clear that the delightful and beautiful in-person experience was not translating to Eataly online. We performed analysis with brands in the similar high-end Grocerant (grocery + restaurant) sector, such as Whole Foods, Le District, and Dean & Deluca, and with those offering high-end speciality kitchen retail, such as Williams-Sonoma. These businesses offered a much simpler approach in layout and navigation with accurate product searchability. 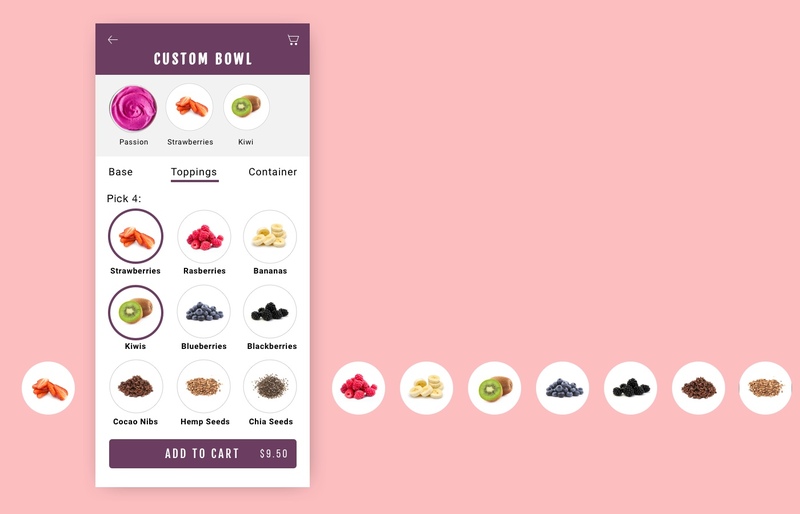 On desktop, Whole Foods offers a shoppable Recipe section, where users can add ingredients from each recipe to their cart. 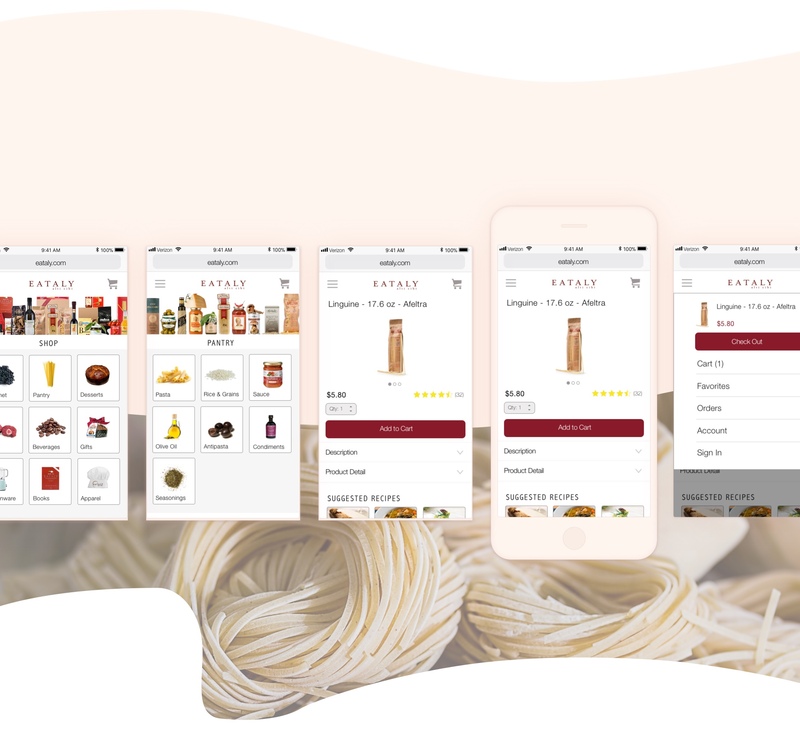 This got us thinking, if Eataly customers want to recreate Italian dishes at home, then why was that experience so difficult to execute on Eataly's website? Eataly was missing out on a natural opportunity to increase sales while improving the ease of trying new Italian dishes at home for their customers. Based on our research, I developed two personas - Maggie, our primary persona, and Chelsea, the secondary. Maggie is a New Yorker, who works in fashion. She has a busy life, but always makes time for socializing with friends in her free time. She loves going out to eat, as much as she enjoys entertaining and hosting dinner parties at her apartment. Maggie enjoys exploring and learning about foods from different cultures, especially Italian. She thrives off tasting new dishes and trying out recipes. Chelsea was born in Sicily. She moved to New York after university to launch her career. She now considers herself a New Yorker, but still yearns for the authentic Sicilian food from her childhood. 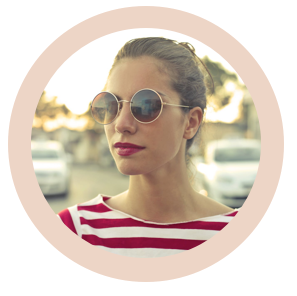 Chelsea frequently seeks out authentic Italian ingredients and restaurants to fulfill her nostalgia. She would never use Ragu or Kraft Parmesan cheese in her kitchen. Chelsea enjoys gifting Italian wines, cheese, and olive oils. 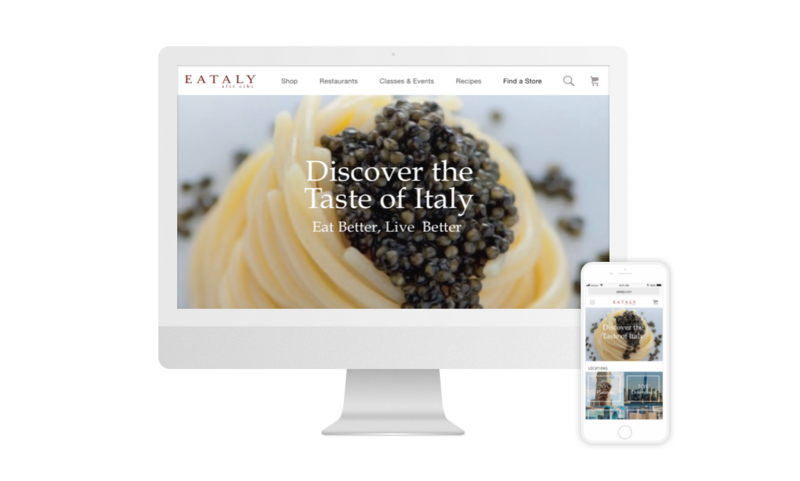 All of our research concluded that Eataly customers' online experience does not match the highly differentiated experience in-store. 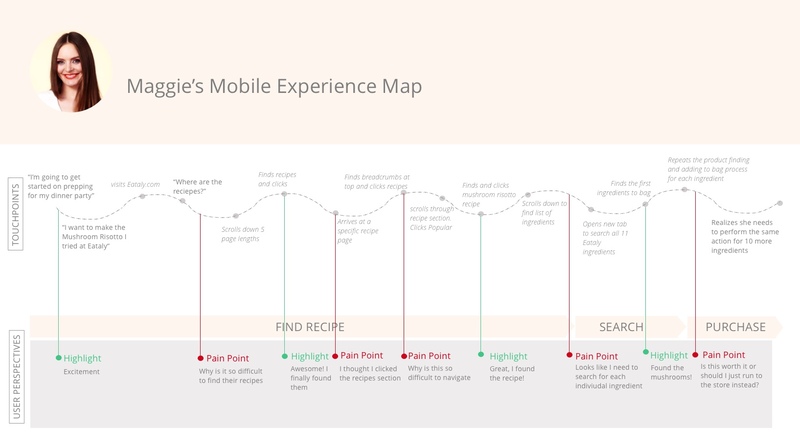 Users have difficulty finding products, recipes, restaurants, and effectively navigating throughout the website. 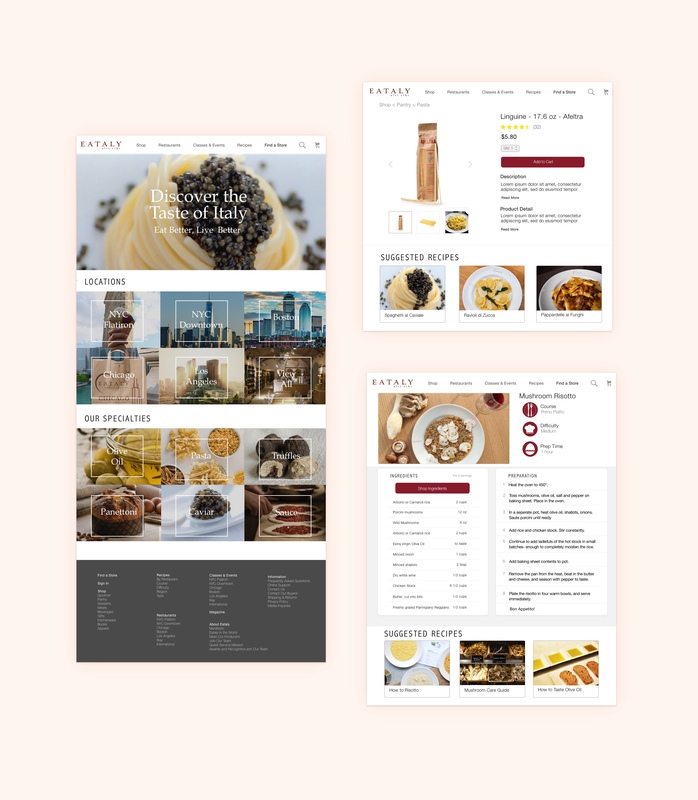 I needed to consider how I could create an online experience that supports and complements what makes Eataly’s brick and mortar special. It was clear there were a long list of areas that should be tackled. The key ones include finding recipes then ordering ingredients, shopping for product, checkout process, finding restaurant detail, making reservations, and gifting. I decided to prioritize finding recipes then ordering ingredients and shopping for product. During the research phase, we had performed open and closed card sorting using Optimal Sort, in order to understand how users could most efficiently navigate the site. 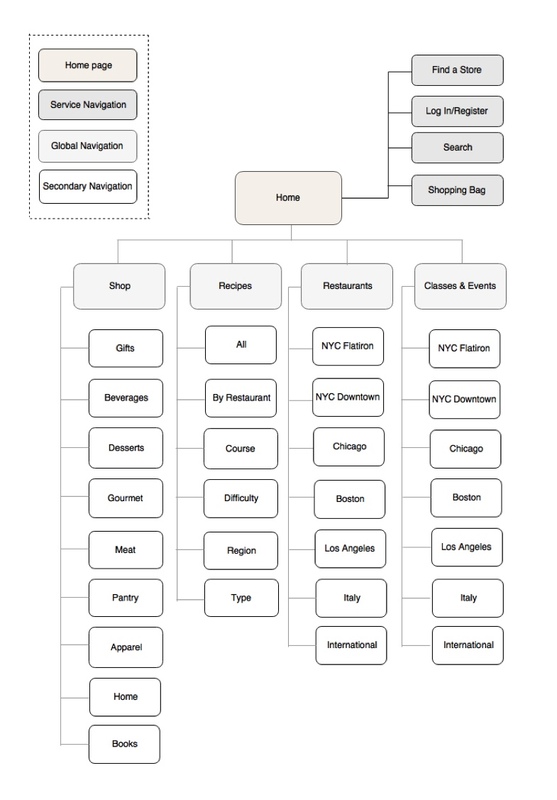 We had users sort 100 of Eataly's products and services into categories. 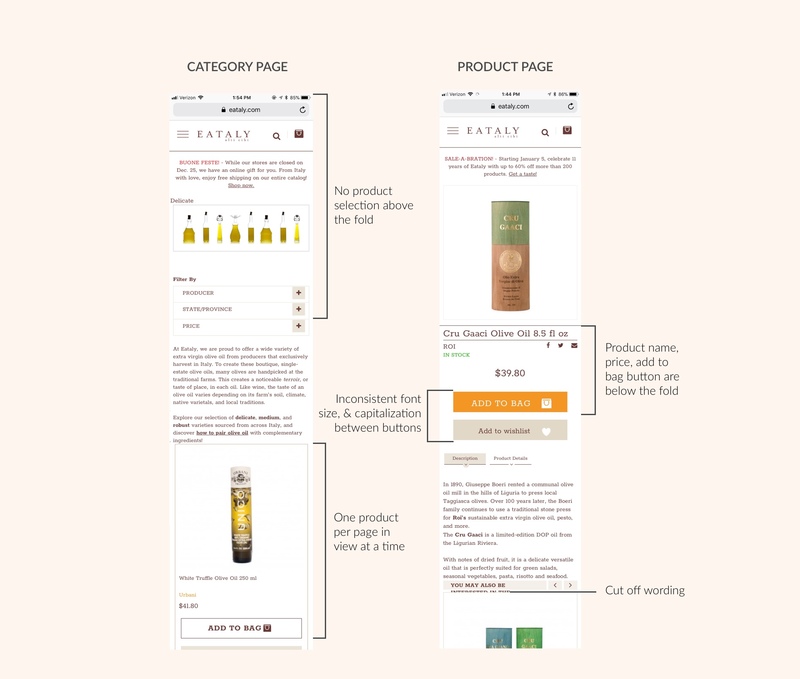 This gave insight into how users categorize information in a way that makes sense to them, which in turn informed the new site navigation. 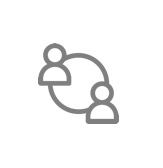 In an effort to remedy the repetitive nature of the homepage and simplify the experience, I tapered down the number of service navigation options from 10 to 4. 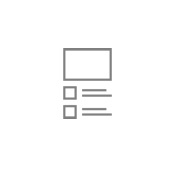 The categories of less priority were transferred to the footer. 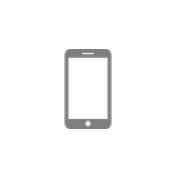 I moved the Recipes section, previously found within the homepage content, into the global navigation to increase the findability. 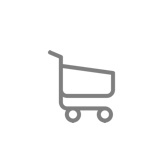 In order to reduce the breadth of the global navigation, I tucked every e-commerce item under a Shop category. which allowed me to significantly reduce the category options from 10 to 4. 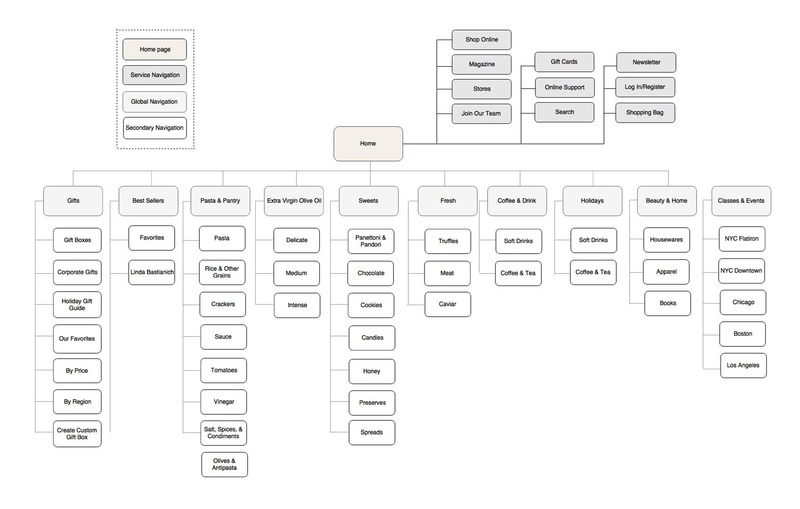 I designed for two tasks flow, while considering the most relevant personas for each. 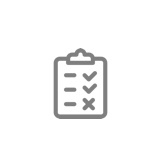 I created tasks backed by stories that I would later test for usability. It’s Tuesday evening and Maggie decides to make a plan for the upcoming dinner party she's hosting for three friends on Saturday. She remembers having a delicious mushroom risotto dish last time she dined at Eatlay’s Risio E Risotto restaurant in NY Flatiron. She visits Eataly’s website to find the recipe and order the necessary ingredients to recreate the dish. Chelsea's been dreaming of home and is craving the taste of her mom's homemade Shrimp Scampi. She visits Eataly’s website to find a purchase some linguine. 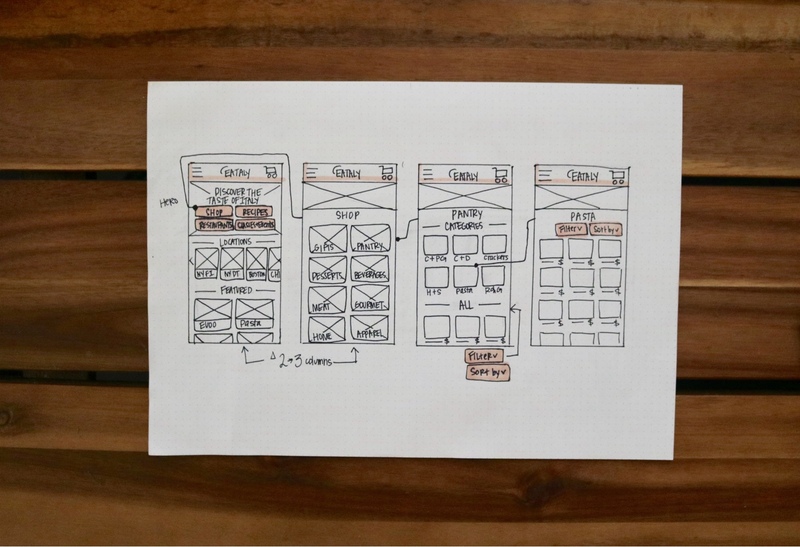 I started designing for these tasks by ideating and sketching out my ideas on paper. 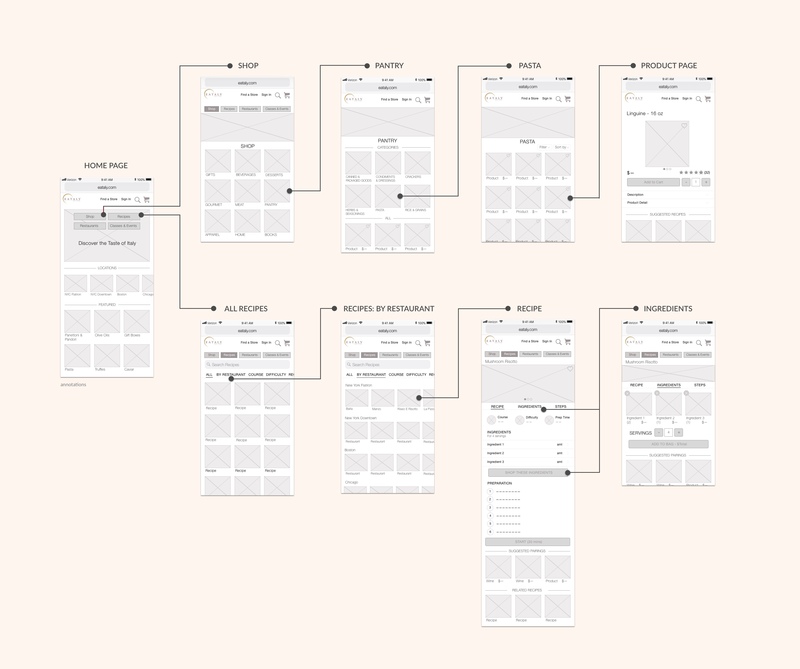 Next, I moved to Sketch for mid-fidelity then hi-fidelity wireframes, while usability testing and iterating on each round. Maggie's previous experience to locate the Mushroom Risotto recipe was an arduous one, resulting in a rollercoaster of emotions. 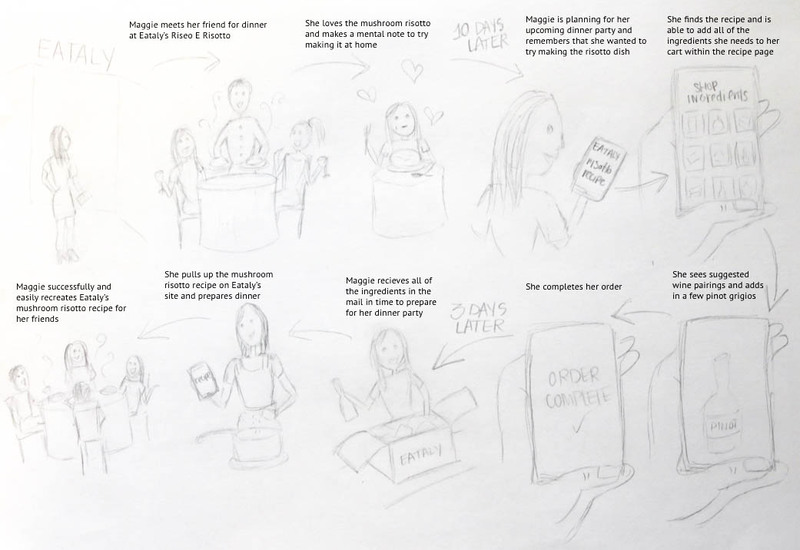 I drew up a story map of Maggie's journey from discovering the Risotto recipe at Eataly to cooking it at home for her friends. 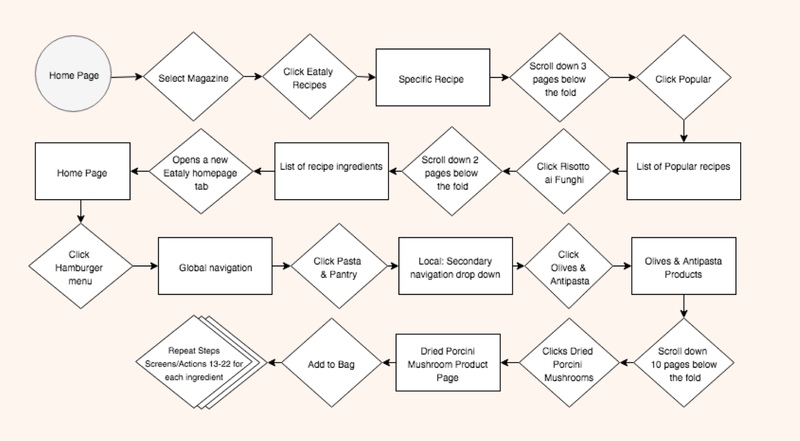 I redesigned the task flows for product shopping and recipes. 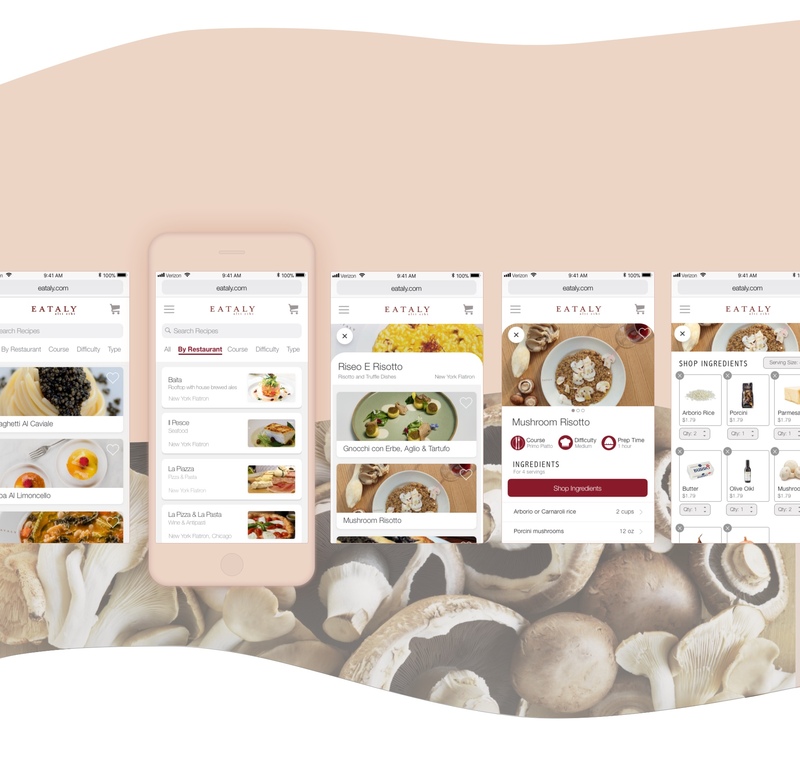 Show below, what previously took users 36 screens and 55 actions to find the Mushroom Risotto recipe and add ingredients to cart, was reduced to 5 screens and 6 actions. I started the screen design process by sketching out variations of Maggie and Chelsea's task flows. 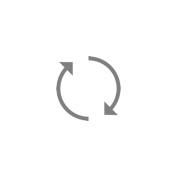 Below is Chelsea's product purchase flow. I simplified the layout and navigation, as well as gave the UI an updated, less harsh aesthetic. 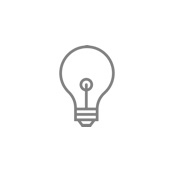 In order to improve search functionality, I would recommend implementation of proper tagging within site. My new design reduced unnecessary wording in prime real estate, while positioning important elements (product name, price, add to cart buttons) above the fold. The updated navigation, homepage, recipe section, and product shopping section received positive feedback in user testing. My next steps would be to tackle the cart to order completion flow, along with the Restaurants and Classes & Events sections.